Renowned New Zealand Warwick Freeman presents his 10th solo exhibition at Gallery Funaki. Warwick's 40-year practice encompasses the rich history and geological specificity of New Zealand landscape and jewellery history, wrought with a profoundly contemporary sensibility. 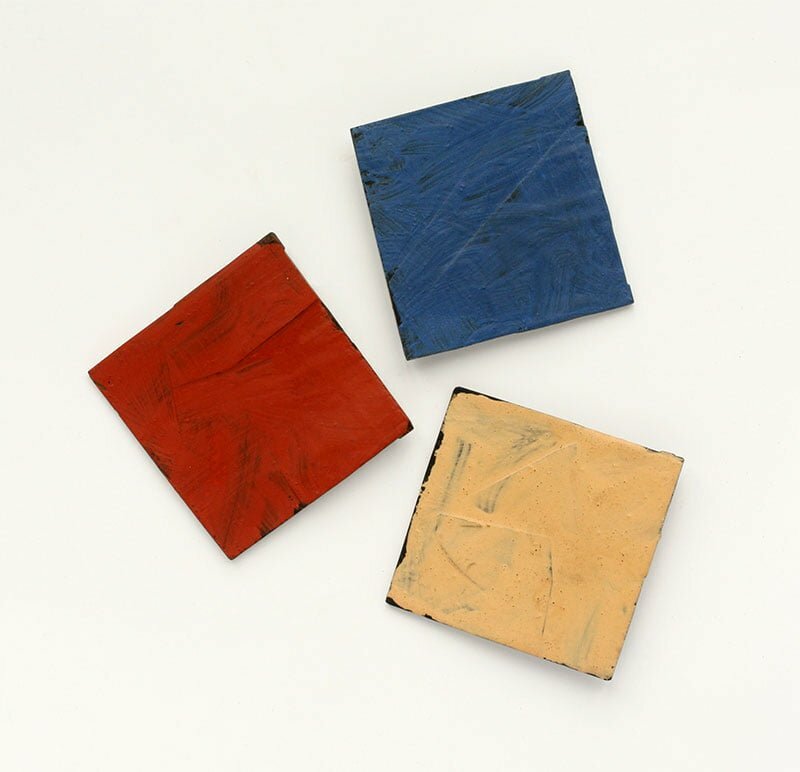 In PRIME, Freeman employs a restricted palette of primary colours: jasper produces the rusty, earthy red, blue is courtesy of lapis lazuli and a warm, sandy yellow comes from silcrete. These three stones are used, singly or together, the repeating colours giving the whole exhibition a rhythm and quiet strength. 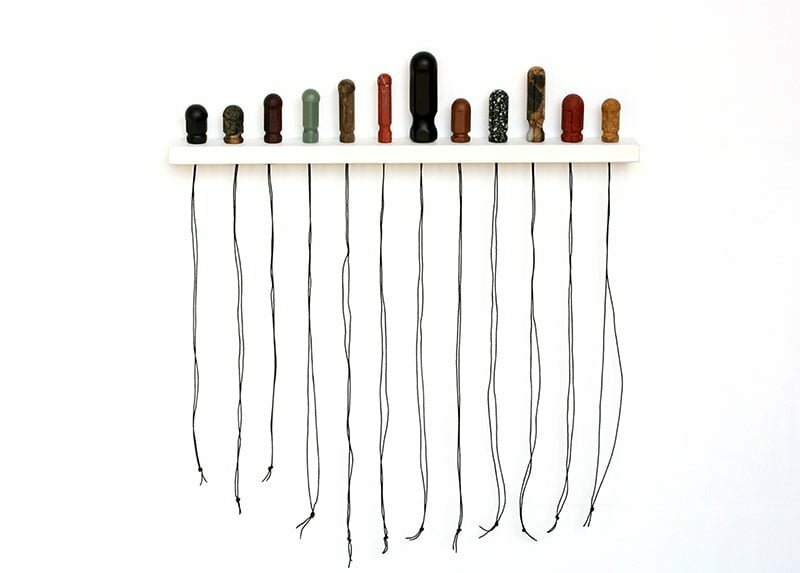 Along one wall, the installation 'Phantom' is a line of 14 small woodblocks (pendants or objects) carved with sometimes dour, sometimes grimacing faces. Are they the ghosts of the 20th century, gazing nonplussed over the prospect of the future? PRIME acknowledges Freeman's roots, planted in the ground of late modernism and drawing on that movements complex and problematic associations with Primitivism. Intimate in scale and focussed in intent, PRIME is an exhibition without nostalgia but with a clear view on the past.